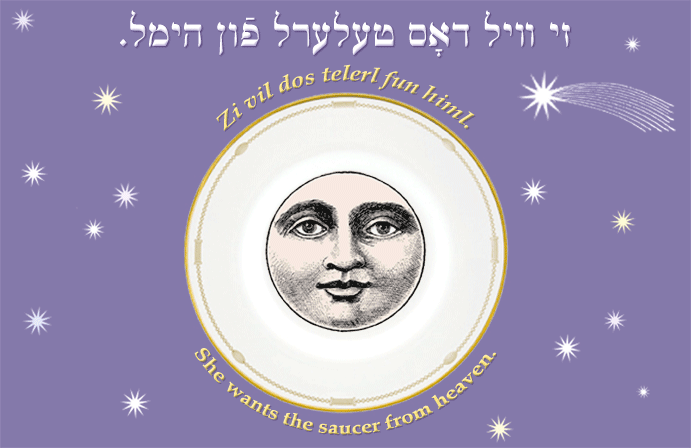 Yiddish Wit: She wants the saucer from heaven. זי װיל דאָס טעלערל פֿון הימל. Zi vil dos telerl fun himl. She wants the saucer from heaven.